Dibtech Computers has linked some free software for your personal use. None of the software on this page is located on our server - No support is offered or implied from Dibtech Computers. We have a dedicated data page, where we can eplain the different types of data service that we provide. Keeping backups is one thing, but keeping a complete working copy of your data and even a clone of your hard disk drive, is another! Cloud services and local backups - both have their places in any business and/or home. There is now no real excuse for not backing up your data to where ever you feel able to. Some is free, some is free and time limited and some you will need to pay for. We offer this service for anyone that simply needs to transfer all their data and programs from one hard disk drive (HDD) to another (cloning). You might need to do this for a variety of reasons: a failing HDD or clone or simply because you have run out of space on the HDD. You will need to either purchase a new hard disk drive from us or from your chosen supplier (it must be the same size or bigger). This service will clone everything (as far as possible) from one HDD to another. This service is charged at £35.00 per hour. Or indeed from any SATA storage drive to another (not media disks). When we clone a drive you will end up with a complete clone of everything: operating system, programs, data and even the faults and any issues included on/with the original HDD, unless you specifically request that we attempt to correct any issues before carrying out the cloning process. 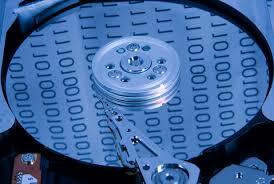 We use professional computer equipment and professional software to carry out the cloning of the drive. We use a dedicated computer system, that is only used to carry out the cloning process. We do not simply copy from one drive to another using a number of USB cables and a couple of HDDs. We suggest that the client should always make sure that they have the operating system on media and that they may need to reactivate some software, if it is required. This is NOT a service that we offer - this is where a genuine email address is fully or partially cloned by a hacker! It then can very easily give the impression that it's from the original genuine email address. It can even use the original signature block. This seems to have occurred after a webmail client email address has been compromised, for example: Hotmail, Yahoo, Gmail etc etc. The partially cloned email address is then used to impersonate the original email address and `spoof` the recipients into opening the email, believing it to be genuine. They even appear to know the original (genuine) email address and name, then incorporate this into the spoof email. Be careful who`s emails you reply to - be warned!